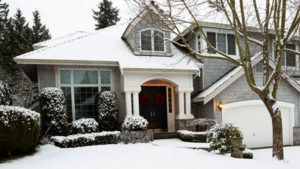 Start by inspecting your home, looking for areas that could be vulnerable to cold air intrusion and freezing. Find out where your pipes run, paying special attention to areas along outside walls and in crawl spaces. Know where your shutoff valves are located. Identify and label your main water shutoff in case a pipe freezes and you need to shut off your water supply quickly to avoid water damage. The University of Illinois Cooperative Extension Service offers tips on how to prepare for cold weather and prevent pipes from freezing.